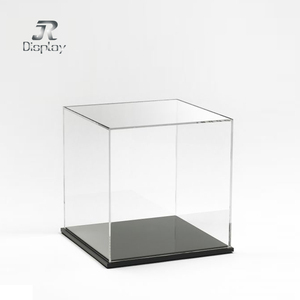 Acrylic shoe display case for acrylic shoe box and shoe display r Packaging We use export corrugated the carton for your items. 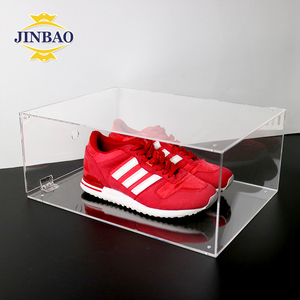 Acrylic shoe display case for acrylic shoe box and shoe display F A Q Q1: Are you a manufacturer or trading company 9 A: We are a manufacturer. 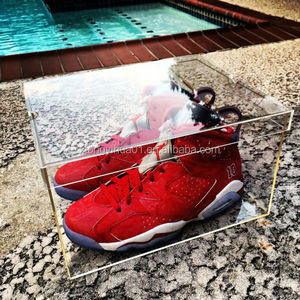 Acrylic shoe display case for acrylic shoe box and shoe display Q5: Are samples available 9 Acrylic shoe display case for acrylic shoe box and shoe display A: Yes, samples are available. Stand for shoes stand display shoes showcase designs acrylic display case rotating PRODUCT IMAGES More details Item name Perfect! Stand for shoes stand display shoes showcase designs acrylic display case rotating Material MDF with baking paint, wood veneer, ultra clear tempered glass, acrylic. Etc. STRONG PACKAGE &hearts; Above 18years professional display showcase manufacture experience. 4) What is the lead time for mass production9 Usually it is about 15-20 days depending on quantity. We have professional team having rich experience in acrylic display design and manufacturing. You can choose the one which is the most convenient or cost effective for you. 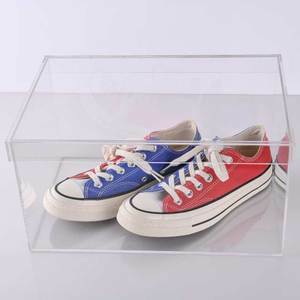 This acrylic sneaker box features a drop face door that makes storing easily accessible. 1. When can I get response9 Normally within 24 hours after we get your inquiry. 6.What about the lead time for mass production9 That depends on the order quantity and the season. Experienced engineers to provide suggestions to clients and ensure display structures more reasonable. your own design could be produced by us. One-stop service; best service especially after-sale service. 6. S From the list below choose one of our s topics, then select an to read. If you have a question which is not in this section, please contact us. If your trial order less than our MOQ,please let me know your choice. If your store front is fortunate enough to feature one or more windows, then you have one of the most proven (and least expensive) forms of advertising at your disposal. We has a decade of experience in providing innovative POP ,acrylic display and POS solutions to the retail industry. Our expertise in our domain has made our clients look up to us with high expectations for path breaking retail branding solutions. 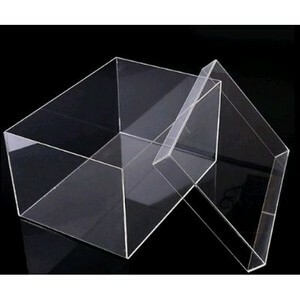 Alibaba.com offers 2,180 acrylic display cases for shoes products. About 71% of these are display racks, 3% are showcase, and 1% are other store & supermarket equipment. A wide variety of acrylic display cases for shoes options are available to you, such as acrylic, plastic, and wood. You can also choose from eco-friendly, stocked. As well as from storage boxes & bins, ground row lights. And whether acrylic display cases for shoes is sundries, shoes, or food. 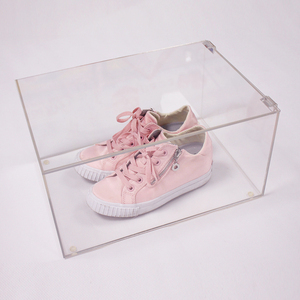 There are 2,229 acrylic display cases for shoes suppliers, mainly located in Asia. The top supplying countries are China (Mainland), Canada, and Hong Kong, which supply 94%, 2%, and 2% of acrylic display cases for shoes respectively. 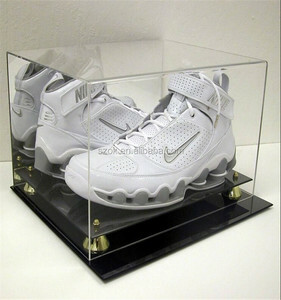 Acrylic display cases for shoes products are most popular in North America, Domestic Market, and Western Europe. You can ensure product safety by selecting from certified suppliers, including 318 with ISO9001, 220 with Other, and 36 with ISO14001 certification.